the obsessive imagist | art, design, life: WHAT THE . . ?! WHAT THE . . ?! You are eyes are not deceiving you. You are not tripping. This is a PINK DOLPHIN. 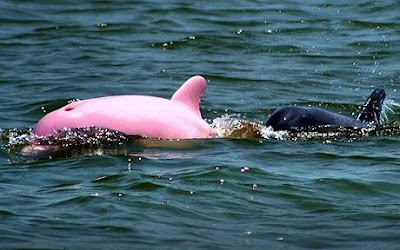 Technically it is an albino dolphin and little girls with their eye on marine biology are freaking out right now.